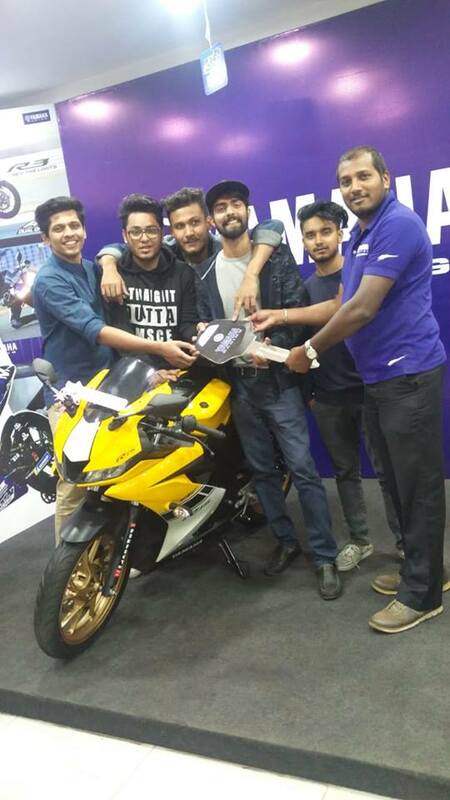 A unit of Yamaha YZF-R15 V3.0, in a shade of yellow, was delivered to a customer in Bangalore. The motorcycle is not an official colour option, but a dealership level customisation. The theme of the customised YZF-R15 V3.0 resembles the 60th Anniversary special edition motorcycles that Yamaha unveiled to celebrate the occasion. The special livery is a dealership level customisation. The custom paint on the YZF-R15 V3.0 is accompanied by golden coloured rims. This isn't the first new yellow Yamaha YZF-R15 V3.0 that we have come across. In December last year, IAB reader Shreyas MA had shared the images of another YZF-R15 V3.0 with ‘black & yellow’ paint scheme. 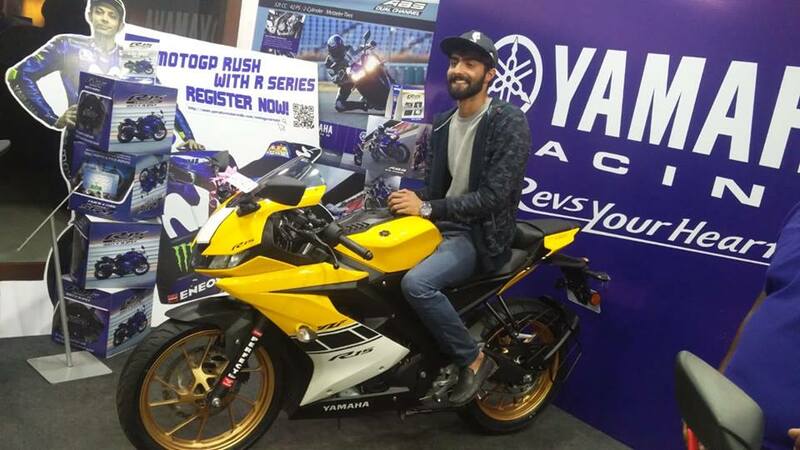 The motorcycle was spotted at Pacer Yamaha dealership in Bangalore. The custom painted motorcycle uses yellow as the base paint with white and black graphics. The front of the bike features a white stripe that runs through the centre of the fascia. The fairing gets yellow-black-white finish with YZF and R15 badge. The fuel tank retains its dual-tone theme with a black centre complementing the yellow paint. The wheels get a golden colour that gels well with the colour theme of the motorcycle. The Yamaha R15 V3.0 ABS was launched in India at an ex-showroom price of INR 1.39 lakh. The company also introduced the new Darknight colour scheme that retails at a premium of INR 2,000 over the existing colour options and can be purchased for INR 1.41 lakh (ex-showroom). Mechanical specifications feature a 155.1cc, SOHC, liquid-cooled motor that puts out 19.1 bhp of power and 14.7 Nm of peak torque. The engine is paired with a six-speed transmission and features a slip and assist clutch as standard fitment. India Yamaha Motor offers the YZF-R15 V3.0 in three options - Racing Blue, Thunder Grey and Darknight. In more updates, Yamaha updated its India portfolio with the launch of FZ V3.0. Select dealerships are trying to clear the stock of the FZ V2.0 by offering a discount of up to INR 6,000 on the model. The company would soon extend its product portfolio with the introduction of the MT-15 – the naked roadster variant of the YZF-R15 V3.0.